Welcome to Steelite International’s privacy notice. 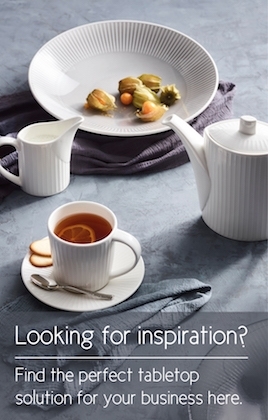 Steelite respects your privacy and is committed to protecting your personal data. This privacy notice will inform you as to how we look after your personal data when you visit our website (regardless of where you visit it from) and tell you about your privacy rights and how the law protects you. This privacy notice aims to give you information on how Steelite collects and processes your personal data. Steelite International Limited is the controller and responsible for your personal data (collectively referred to as “Steelite”, “we”, “us” or our in this privacy notice). This version was last updated on 25 May 2018 and historic versions can be obtained by contacting us. We may need to update this notice from time to time. If the change is material, we will give you not less than two months’ notice of the change so that you can exercise your rights, if appropriate, before the change comes into effect. We will notify you of the change by contacting you at the details you have provided to us in your last correspondence. It is important that the personal data we hold about you is accurate and current. We may ask you to confirm updates to your personal data from time to time but please keep us informed if your personal data changes during your relationship with us in the meantime. Please inform the DPO of any changes in your data at the following email address: gdpr@steelite.com. We and organisations connected with us (such as Caterlyst) have a social media presence for the purpose of engaging with our customers. If you enable such connections or choose to communicate your personal data to us via third-party websites or social media, please remember that we do not control these third-party websites and are not responsible for their privacy statements. When you leave our website or interact with us on social media, we encourage you to read the privacy notice of every website of forum that you visit or use. Identity Data includes first name, maiden name, last name, username or similar identifier, marital status, title, date of birth, gender and photographs. Contact Data from providers of technical services such as Caterlyst based inside EU. Click hereto find out more about the types of lawful basis that we will rely on to process your personal data. We strive to provide you with choices regarding certain personal data uses, particularly around marketing and advertising. We have established the personal data control mechanisms set out in the paragraph headed Opting out below. Promotional offers from us. We will get your express opt-in consent before we share your personal data with any company outside the Steelite of companies for marketing purposes. Internal Third Partiesas set out in the Glossary. External Third Partiesas set out in the Glossary. We share your personal data within the Steelite Group. This will involve transferring your data outside the European Economic Area (EEA). Other companies in the Steelite Group acting as joint controllers or processors and who are based [in the United Kingdom] and provide IT and system administration services and undertake leadership reporting. Service providers acting as processors who provide IT and system administration services. If any of these organisations is based, or have group or affiliated companies that are based, outside of the EEA then the paragraph headed International Transfers sets out the basis on which your personal data is transferred to them. MailChimp, which is a trading name of Rocket Science Group LLC, a company incorporated and registered in the USA. We use MailChimp to store, manage and perform the sending of our newsletters and other online communications to you. Google, Inc, which is a company incorporated and registered in the USA. We use analytics services provided by Google in the management of the website. NetBiz a company incorporated and registered in England and Wales. We use web site based services provided by NetBiz.